Discussions about EMV technology are cropping up everywhere at the moment. And they are reaching an almost feverish pitch because of continued increases in credit card fraud and data breaches. Businesses have been forced to rethink their payment processing strategies and security breach safeguards. With the deadline to be EMV-ready just a short six months away, your time is running out. So what will happen if you’re not on board? Will it damage your bottom line? 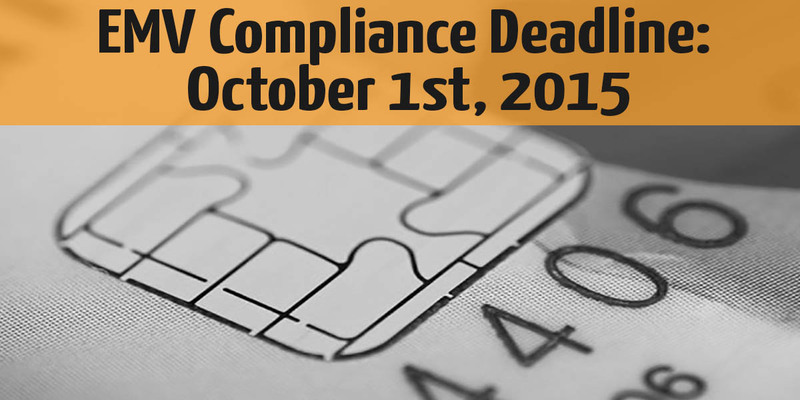 The deadline to be EMV-compliant is October 1, 2015. According to a recent survey, nearly 40% of small U.S-based merchants don’t have plans in place to upgrade their terminals. And shockingly, almost half aren’t aware of the consequences that could occur after the deadline either. Liability for fraudulent and/or unauthorized card purchases may fall squarely on your shoulders, instead of those of the credit card issuers. You’ll lose customers. As word spreads of the benefits of EMV-ready cards and terminals, customers shopping habits will change too. They’ll want to shop where their personal information is protected – and that may very well mean they choose your EMV-compliant competitor next door. As you can see, unfortunately, the consequences are very, very real. They’ll wreak havoc on your bottom line and make it increasingly difficult for you to remain competitive in an overcrowded marketplace. Instead of thinking about the expense of upgrading your terminals, think of it in terms of an investment. You’re investing not only in your business, but your customers too. It could also be considered a form of insurance, because of the protection it will offer you. Plus, the cost to upgrade to an EMV-compliant terminal isn’t much in the grand scheme of business expenses – about $200 or less. And when you think of how quickly fraudulent charges could rack up and destroy your revenues, the cost really is minimal. Don’t let a couple hundred dollars stand between you and your business’ longevity.